These duplex models were designed to look like a single family home to fit into a community with other detached houses. 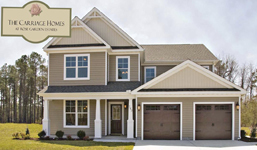 The three models ranged from 1,560 to 1,900 square feet and included 3 or four bedrooms plus a single car garage. 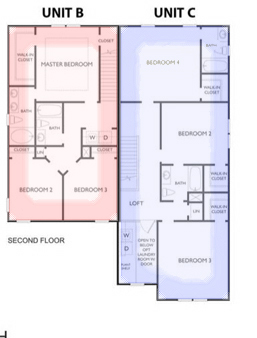 One model has a first floor master bedroom as well. 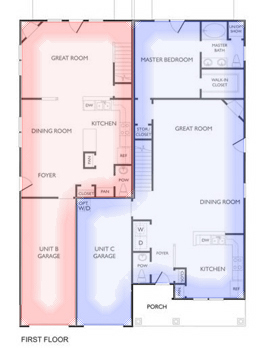 The overall footprint for both models is 44 x 60, which provides for an easily constructed building.